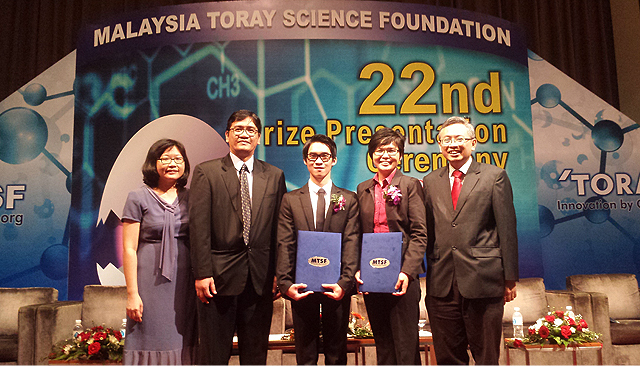 Assistant Professor Dr Ong Siew Teng and research scholar Yeoh Loo Yew, both from UTAR Faculty of Science, were two of the fourteen recipients of the Science and Technology Research Grant (STRG) funded by the Malaysia Toray Science Foundation (MTSF). Both received their grants at the 22nd MTSF Prize Presentation Ceremony held at the Berjaya Times Square Hotel in Kuala Lumpur on 24 November 2015. Dr Ong received a RM20,000 research grant for her proposal, titled Combination and optimization of sorption and photodegradation processes for various dyes removal. Dr Ong’s co-researcher is Dr Michelle Ng Yeen Tan. In this project, attention is focused on combining both sorption and photodegradation techniques to remove different types of dyes. In addition, the significant variables in affecting the removal process will also be identified and optimised using experimental design. 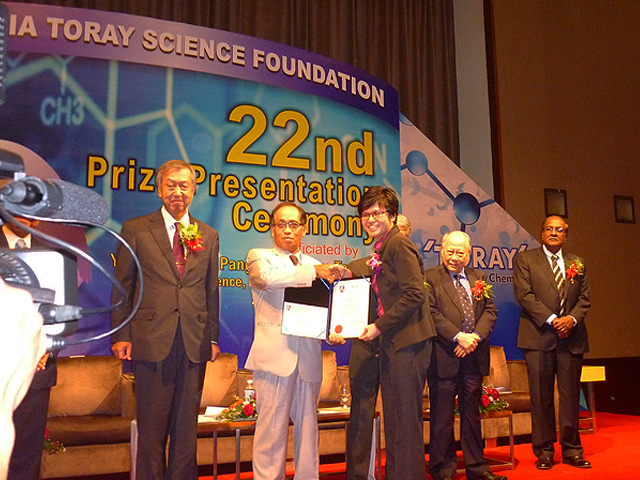 Dr Ong’s continuous effort in research has previously won her the International Foundation for Science (IFS) research grant in 2008. For Dr Ong, receiving this STRG is double happiness as she also won the International Union of Pure and Applied Chemistry (IUPAC) 2015 Travel Award for Chemists from Under-Represented Countries at the IUPAC 2015 World Chemistry Congress held at Busan, Korea recently. For the Johor-born lecturer, receiving a research grant is an acknowledgement of the hard work and hours spent in the lab on research. Hopefully, this will also serve as an incentive for other researchers to pursue a career in research. Dr Ong is thankful to MTSF for the funding. She is also grateful to UTAR for being very supportive of staff’s research works and to Prof Dr Lee Choong Kheng for being a great mentor. Her heartfelt appreciation also goes to Dr Ha (her no.1 supporter), family members, close collaborators (PS and Angel), all her FYP and postgraduate students. Research scholar Yeoh Loo Yew also received a RM20,000 research grant for his proposal titled, Protective Roles of Leaves’ Anti-oxidative Enzymes in Chloroplastic Electron Transport. Chloroplasts are organelles involved in oxygenic photosynthesis and biosynthesis of important nutrients. Based on electrochemical principles, scientists have made use of electron transport properties of isolated chloroplasts to build biofuel cells or biosensors. Most researchers use spinach as the source of chloroplasts but since spinach is also a source of food, this study explores the chloroplastic electron transport properties of leaves that have little commercial value. "I am thankful that MTSF has provided an opportunity for researchers like me to pursue my passion in research and contribute to scientific progress. This research grant will not only help fund my research but also provide an incentive for me to do better. 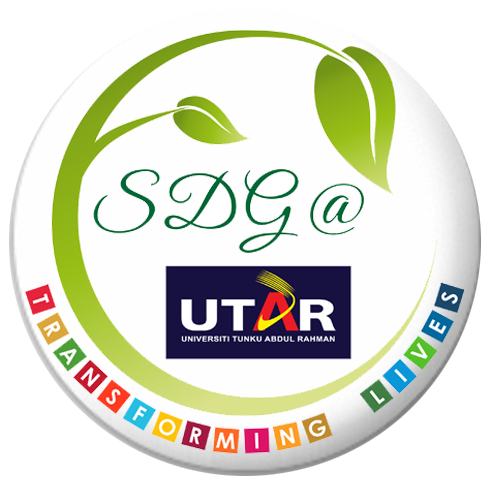 I appreciate UTAR for providing me a resourceful environment to carry out my research. My supervisor and also my co-researcher, Dr Chang Ying Ping, guided me well throughout the research and she encouraged me to apply for the MTSF research grant. I would also like to thank the laboratory officers for their help and my family and friends for their constant encouragement and support when I needed them," Yeoh added. 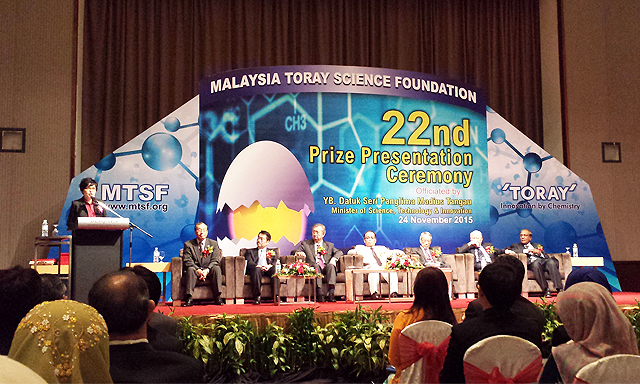 The Malaysia Toray Science Foundation (MTSF) is Malaysia’s premier charitable science foundation established by TORAY Japan and TORAY Malaysia to promote science and technology in Malaysia through supporting deserving Malaysian scientists, young researchers and science educators. Yearly, some RM600,000 in research grants, cash prizes and administrative expenses are spent through the three annual incentive programmes of the Science and Technology Award, the Science and Technology Research Grant, and the Science Education Award. Dr Ong Siew Teng receiving the STRG certificate and cheque from the guest of honour, Deputy Secretary-General (Science), Y Bhg Dato’ Dr Zulkifli Mohamed bin Hashim who represented the Minister of Science, Technology & Innovation.